December 11, 2014 /0 Comments/in Christmas Ornaments, Women's Ministry Crafts /by Craft Supplies for Less, Inc.
Below you will see 3 variations of these Sparkling Christmas Ornaments. All are super easy to make. 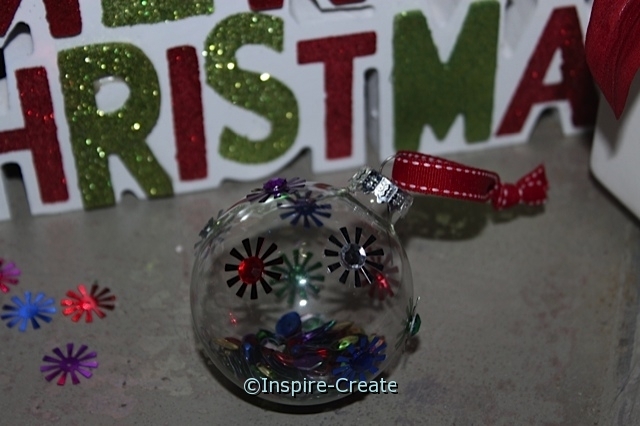 Kids can easily make these (with supervisor) as the ornament balls are made from glass. Ornament #1) Attach Stick on Jewels to the outside of Glass Ornament Balls. 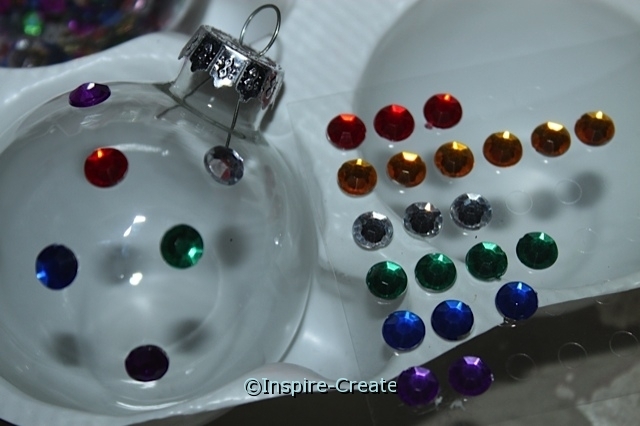 Ornament #2) Remove cap and fill with 8mm Assorted Sequins & attach Spoke Sequins w/ Jewels to the outside of glass ornaments. 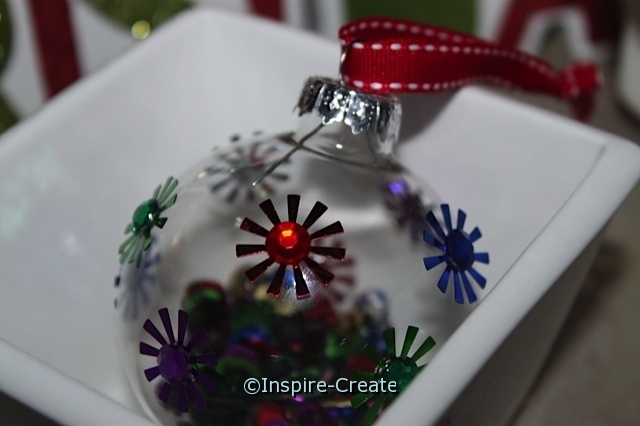 Ornament #3) Simply fill Clear Glass Ornaments with Sequins & add ribbon for hanging! One of the great things about these Christmas Ornaments is that they are super light-weight. We have seen many filled ornaments that are just too heavy for a tree branch to support. However, sequins are about as light as it gets! This ornament was made with Stick on Jewel attached to the center of Spoke Sequins and filled with 8mm assorted color sequins. 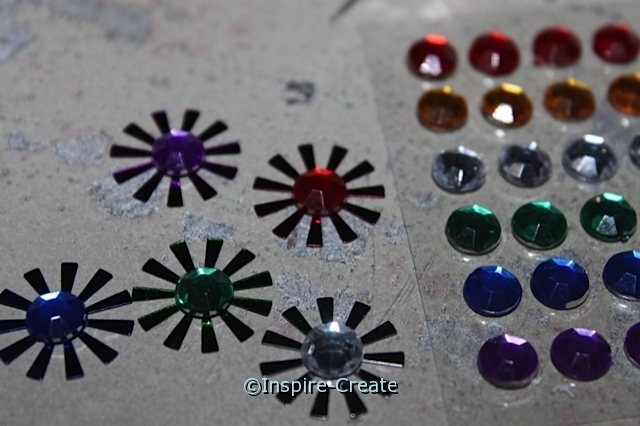 Start by sticking jewels to the center of the sequins. 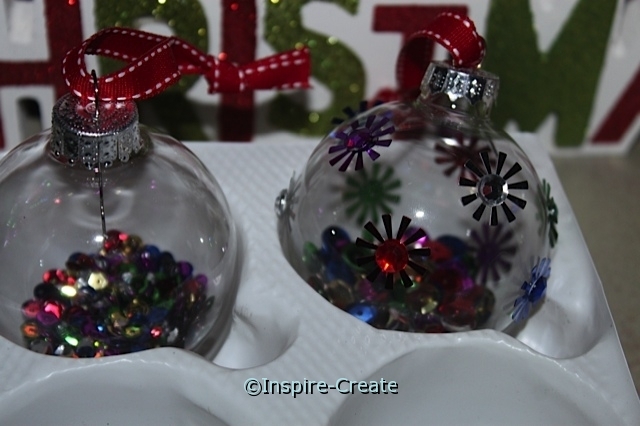 Next, attach the Spoke Sequins w/ Jewels to the Clear Glass Ornament with Mini Glue Dots. 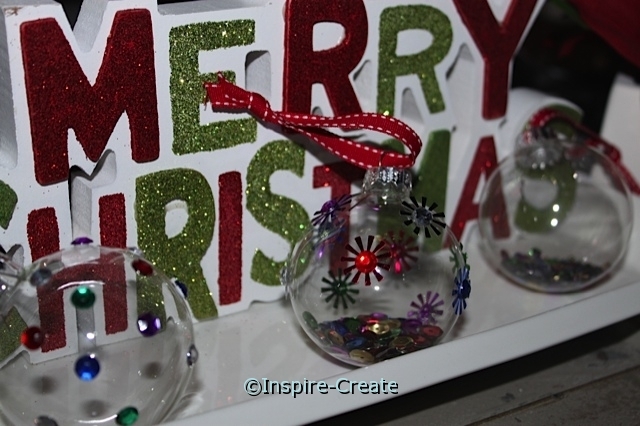 Simply stick the sequins to the a roll of Mini Glue Dots and then then press onto the glass ornament. There is no mess, no drying time, and Mini Glue Dots will hold these in place securely. 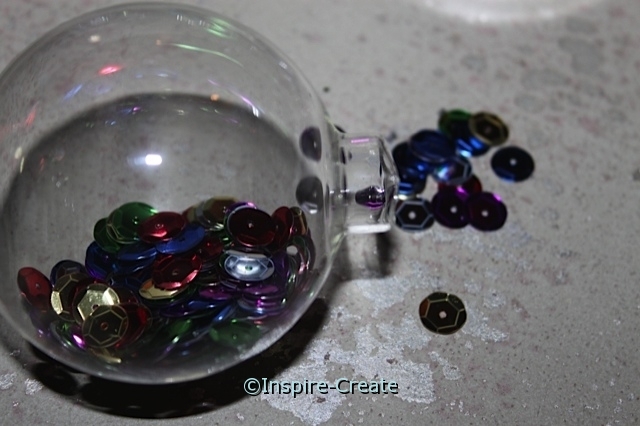 Fill the bottom of the glass ball with 8mm Sequins to desired height. To remove the silver cap, gently pull straight up while holding onto glass ball. We recommend using a small funnel for pouring sequins directly into ornament. To replace the ornament cap, pinch silver prongs together and place back on the top. Hang with a small piece of Sheer or Saddle Stitch Ribbon. To make this light-weight sparkling ornament, simply remove the silver cap by pulling gently straight up. 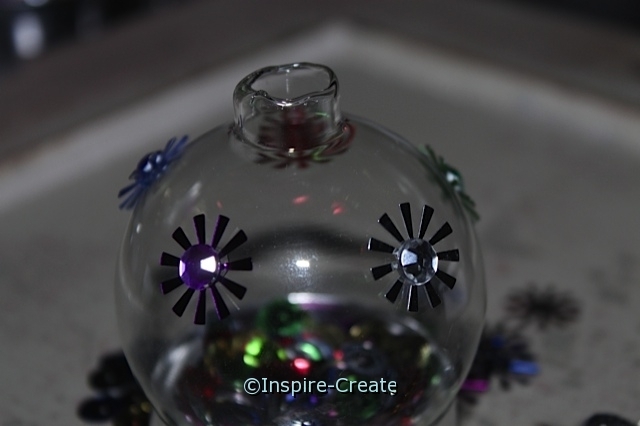 Use a small funnel to pour Sequins into the clear glass ornaments. Replace the cap by pinching the silver prongs and hang with Saddle Stitched Ribbon. This ornament is perfect for smaller branches as the sequins are super light! There you have it! 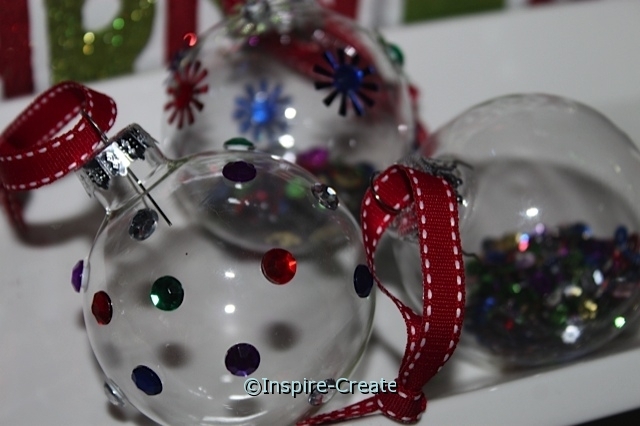 Three great Sparkling Ornaments that are easy and fun to make.